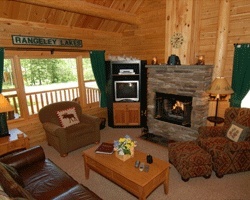 At *Rangeley Lake Resort*, there is no shortage of breathtaking views and outdoor activities at any time of the year! Downhill and cross-country skiing, boating, kayaking, fishing, hiking, snowmobiling, stargazing, and moose-watching are just a few of the activities to be found locally. The charming town of Rangeley is host to a variety of small-town taverns, restaurants and shopping. 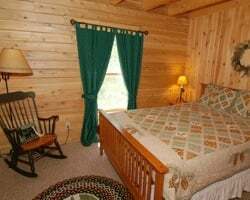 After an exciting day of sightseeing and outdoor adventure, relax in your cabin-style suite, or unwind in the resort's indoor heated pool, hot tub, sauna, and fitness center. For more information about this resort, visit www.rangelylakeresort.com. Week can be exchanged with Interval International! Rustic accommodations in Maine! 2019 week is still available for use! Inquire for more details! 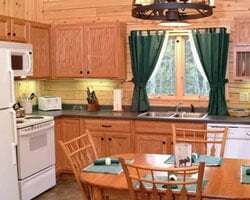 Beautiful log cabin styles units! Annual floating week! Buyer may receive a title fee credit, inquire for details! Week 33 every year! 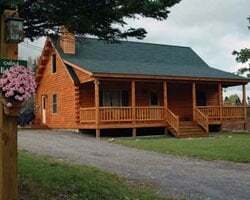 Beautiful log cabin home away from home! Price recently reduced for quick sale!! Outdoor lovers' paradise with spectacular views! Yearly in June week 23! Buyer may receive a title fee credit; inquire for details! Negotiable! Sale includes 6,250 current points! Buyer May Receive A Title Fee Credit, Inquire For Details! very relaxing, also the first snow usually happens then & hunting season! Buyer May Receive A Title Fee Credit, Inquire For Details! Floating week- enjoy precious flexibility at this charming, rustic resort! Lake lovers rejoice! Yearly usage in a floating week! Make an offer today! Fantastic family resort in the Maine countryside! Week 41 in Maine! Perfect time to see all the foliage! Buyer May Receive A Title Fee Credit, Inquire For Details! Option to bring family and friends along! Buyer May Receive A Title Fee Credit, Inquire For Details! Floating week of your choice every other year! Make an offer today! Buyer may receive a title fee credit, inquire for details! Even year usage for week 33. Make an offer. Sale includes 1 banked week and Interval International membership! Available between weeks 1-52! No Easter and no Christmas. Buyer May Receive A Title Fee Credit, Inquire For Details! Be one with nature during any week in yellow season! Buyer May Receive A Title Fee Credit, Inquire For Details! Reserved for 11/18 - 11/25! On 1 acre of land and dogs are allowed! Available during green season week 49! Buy with AD #1988065 for only $10,000. Great New England cabin surrounded with nature & spectacular views! Inquire now! Outdoor lover's paradise in beautiful Maine! Buyer may receive a title fee credit, inquire for details! Outdoor lovers' paradise with spectacular views! Annual week 35 usage! Buyer may receive a title fee credit, inquire for details! Come to Maine! Pick your dates with an annual floating week! Buyer may receive a title fee credit, inquire for details! 8,000 even year points! Motivated seller! Buyer may receive a title fee credit, inquire for details! Lake lovers rejoice! Annual usage in week 15! Come see the breathtaking views of Maine! Inquire for details!